Although, it is not a topic that most local business owners in Wellsboro want to think about, breaches in security can happen at any time of day or night. Even in a pleasantly peaceful town like theirs, fraud and theft can interfere with normal business functions. Simply locking the door and keeping ones fingers crossed is not enough to protect your assets from scheming employees or desperate thieves. The reality is that business owners need security systems in Wellsboro the same as they do in other areas. You certainly don’t have to live in a big city to be vulnerable to business crime. Thankfully, there is a company that recognizes this important fact. 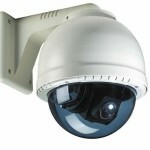 Teledair has been providing security solutions to all types of local businesses for well over twenty years. During this time the company has gained a world’s worth of experience. We understand that your business has unique security needs. That is why we take the time to consult with business owners to evaluate exactly what type of security is best for their situation. We are already assisting several Wellsboro area businesses with top-rate security technology, and we are ready to protect your business as well. There are certain types of businesses that require a higher level of security due to the nature of what they do on a daily basis. One of these businesses is Bradford/Tioga Head Start. Their main business is teaching and caring for small children. When you are in charge of protecting little ones each day there is zero room for error. That is why they turned to Teledair to install a complete security solution that includes wireless access control systems, surveillance systems and digital phone systems. This full set up gives each one of their locations complete control over monitoring who enters and leaves the facility. Bradford/Tioga Head Start benefits greatly from this added security by providing sophisticated monitoring that gives parents peace of mind. Since the safety of children is a major concern, we were more than pleased to be a part of this endeavor. Imagine getting a call in the middle of the night alerting you to a burglary that has just happened at your business. Police are investigating, but the suspects got away. This is a common scenario in small towns all over Pennsylvania. While you rest at home, burglars are busy scouting areas where security isn’t as tight. Smaller towns like Wellsboro are ripe for the picking. One local business that is not going to fall victim to random thieves is Harland’s Family Restaurant. Harland’s is well known around town for their home cooking and cozy atmosphere. To keep thieves away from this fine business Teledair installed a burglar alarm system that includes security cameras. The owners of this restaurant can rest easier knowing their small business has the latest security technology protection. 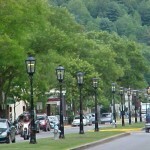 We are the right people to speak with about security for your Wellsboro business. Security is an important matter that requires an in depth discussion about various options. Teledair Communications & Security is ready and willing to sit down with you and have that discussion. Contact us today and let’s chat about protecting your business.